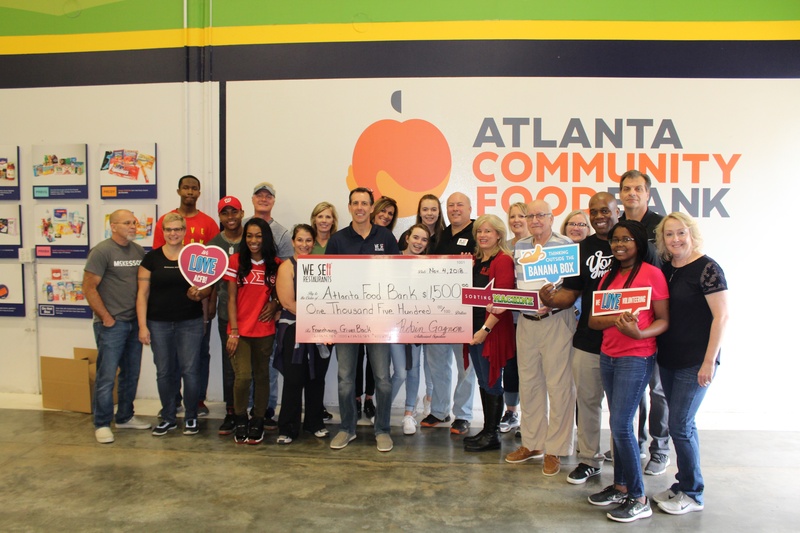 Restaurant Brokers Eric and Robin Gagnon led their team and a volunteer group at the Atlanta Community Food Bank on Nov. 4 from 1 to 4 p.m. They were joined by others in the franchise community including representatives from Shane’s Rib Shack, Any Lab Test Now, Adfinitely and Loud & Clear PR. The initiative was part of the Women's Franchise Network effort to support Franchising Gives Back nationwide. 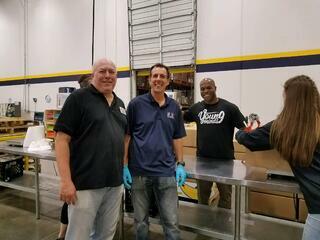 The We Sell Restaurants team and additional volunteers helped the non-profit organization inspect, sort and package nearly 15,000 pounds of food which in the words of the Food Bank representative, is, "enough to fill five Mini-Coopers." Their efforts will provide meals for more than 8,533 Georgians in need. In addition, We Sell Restaurants donated $1,500 to the Atlanta Community Food Bank as a matching gift for reaching a goal of 15 or more volunteers for the day. The funds were from the charitable trust foundation established by the Gagnons and We Sell Restaurants that will distribute more than $21,000 annually for the next ten years. “We were thrilled to have our team members, their family, friends and those in franchising, spend their Saturday afternoon helping out our community. As we head into the holiday season, we are always mindful of those in need. The funds we provided will serve more than 6,000 meals," said Robin Gagnon, Co-Founder of We Sell Restaurants. Eric Gagnon, President of We Sell Restaurants said, "We established our charitable trust in 2016 as a way to pay back the many blessings we've been provided. We are actively looking for charitable initiatives that can benefit from our time and funds and have made a matching donation program available to our franchisees and team members." The Atlanta Community Food Bank works with more than 600 nonprofit partners—including food pantries, community kitchens, childcare centers, night shelters and senior centers—to distribute over 60 million meals to more than 755,000 people in 29 counties across metro Atlanta and north Georgia. The Atlanta Restaurant Brokers for We Sell Restaurants turned out including Steve and Cyndi Weinbaum, along with their daughter. Dominique Maddox also included his dauther in a day of giving back. We Sell Restaurants is the nation's largest restaurant brokerage firm, representing buyers and sellers in the sale of the restaurant businesses. The firm operates in 42 states across the country. 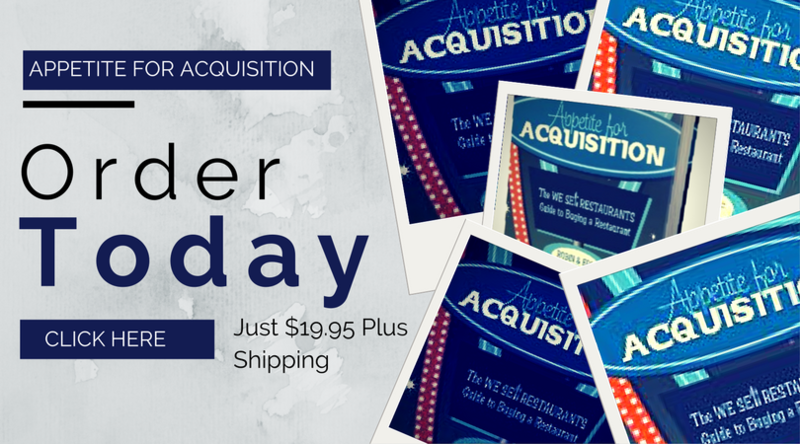 We Sell Restaurants is franchising their concept nationwide.